For 15 years AIC has been working on Peace Building and Conflict Peaceful Resolution in cooperation with the representatives of various social and age groups (based on the protection of human rightsand interests) regarding the subjects of their own contribution processes. Organization members were and are still participating in Georgian-Abkhazian dialogues, negotiations and meetings in Turkey, United Kingdom, Czech Republic, Azerbaijan, Armenia etc. Engagement in the processes of studying the current inter-state violence conflicts and resolving them as well as contributing to the conflict transformation in cooperation with different social and age groups. 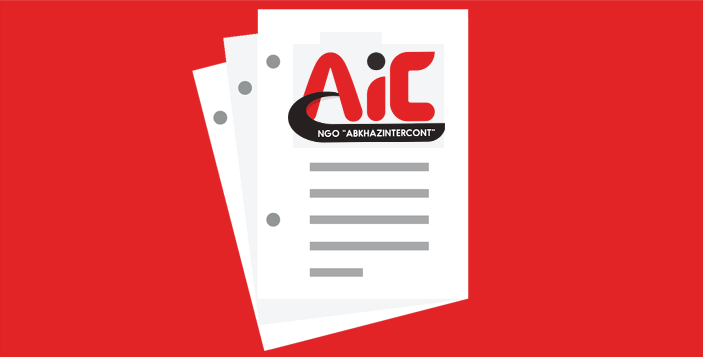 The local NGO Abkhazintercont (AIC) is a public organization, which is registered in accordance with the Georgian laws in 1998 andsuccessfully works for more than 15 years in the civil society sector. The establishment of our organization was led with devotionby people who were interested inovercoming the social and economic hardship of Internally Displaced Persons (IDPs) as well as contributing to the peaceful resolution of conflicts in Georgia.